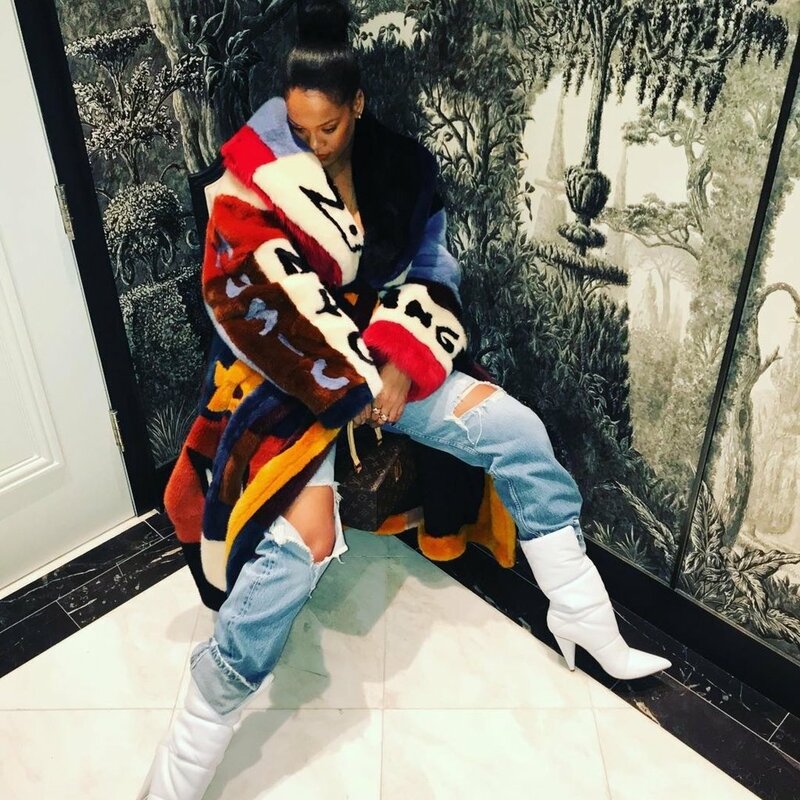 Rihanna proved that the white boot trend did not stay in 2017. The beautiful singer posted an IG pic looking fierce in some Off-White white boots. I LOVE everything black but this look I would try.